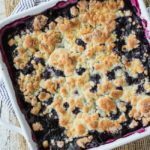 Lemon and blueberry is a classic summer dessert combination that happens to be one of my favorites. 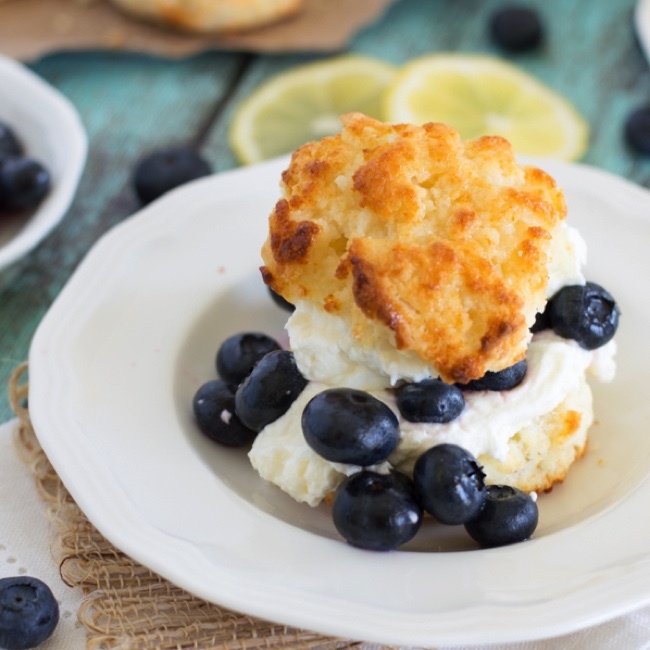 These blueberry lemon shortcakes are simple, fresh, and delicious! Happy Friday! Can you believe today is the last day of June?! I know, I say it all the time… but honestly, time is flying. Lately I’ve been obsessed with all the summer produce. Between my garden and local farm, I’ve been enjoying quite the array of fruits and veggies. I had my first few ripe cherry tomatoes the other day! 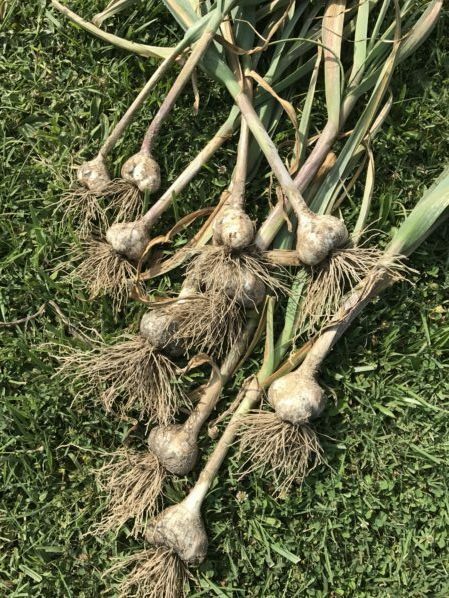 We also just harvested the garlic we planted in December. I never grew garlic before, so I had my doubts… especially since we pretty much neglected it. However, it came out great! The heads look smaller in the picture than they actually are, but you get the idea. ? So, what’s on your menu for the 4th of July? Hopefully pulled pork tacos! That’s what I’m having.. along with a ton of other yummy food. 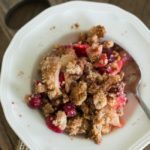 If you’re looking for a fun and sort-of-fancy dessert, I’ve got you! I absolutely love strawberry shortcake – it was always one of my favorite desserts. Since blueberries are in full swing around here, I decided blueberry shortcake needed to happen. And it’s a winner. ??? First we start out with homemade shortcakes, which are basically just biscuits. I brush mine with melted butter and honey before baking so they get that beautiful brown top. The filling couldn’t be any easier – it’s just fresh blueberries, lemon juice, and a bit of sugar. And we can’t forget the mascarpone whipped cream. SO GOOD. I love adding the mascarpone because it adds a bit of tanginess to the whipped cream, which pairs perfectly with the lemon and blueberries. It’s an all around simple, but delicious dessert. You can even add some strawberries or raspberries in there to make them really festive for the 4th of July! I hope you all have a safe and fun Independence Day… and eat some yummy food! ? 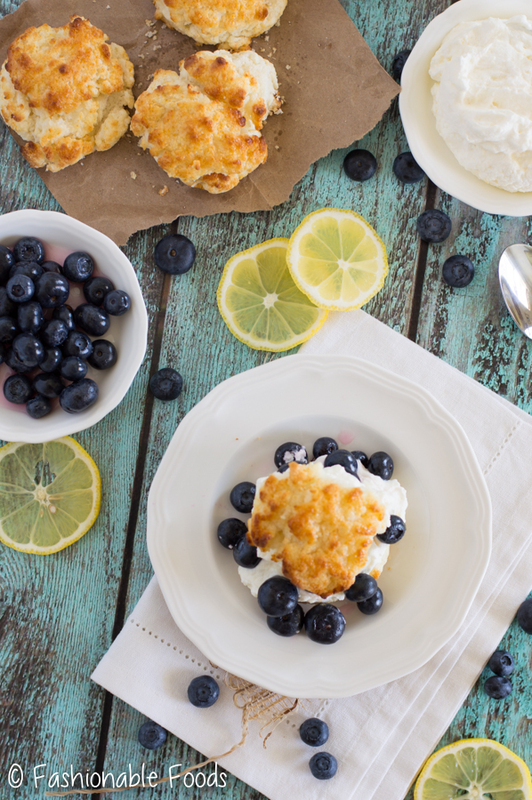 Lemon and blueberry is a classic summer dessert combination that happens to be one of my favorites. 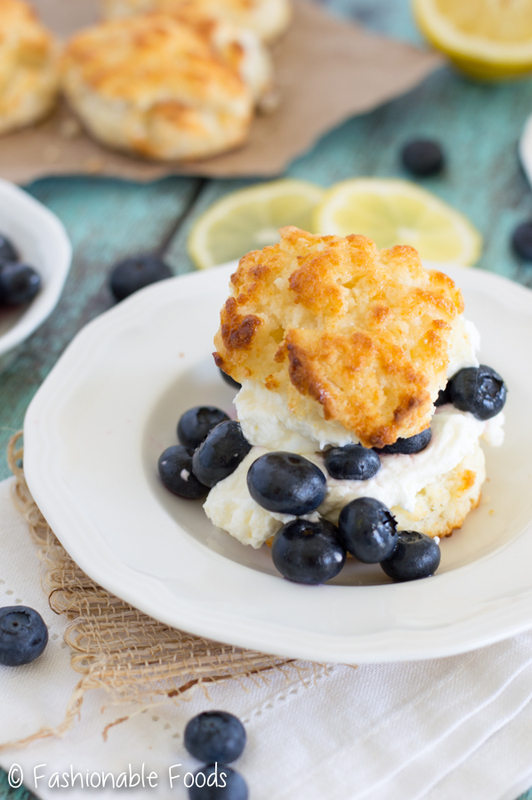 These lemon blueberry shortcakes are simple, fresh, and delicious! In a large bowl, combine the flour, sugar, baking powder, and salt. Cut in the cold butter using a pastry blender or fork until you have coarse crumbs. Pour in the buttermilk and mix until the dough comes together – it may be crumbly, but all the fine crumbs should be incorporated. Using a large cookie scoop, portion the dough into 8 shortcakes on a baking sheet lined with a silpat or parchment. 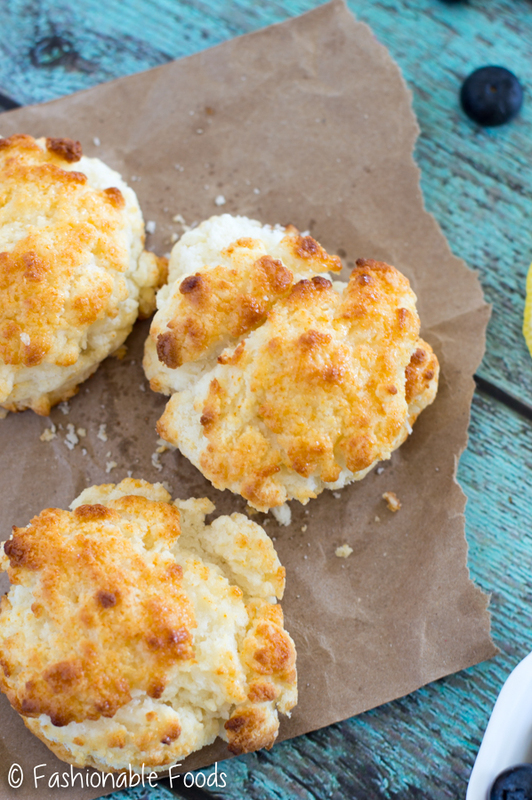 Combine the melted butter and honey in a small bowl and brush the mixture generously over the shortcakes. Bake the shortcakes for 12-15 minutes, or until golden brown and firm to the touch. Set aside to cool. 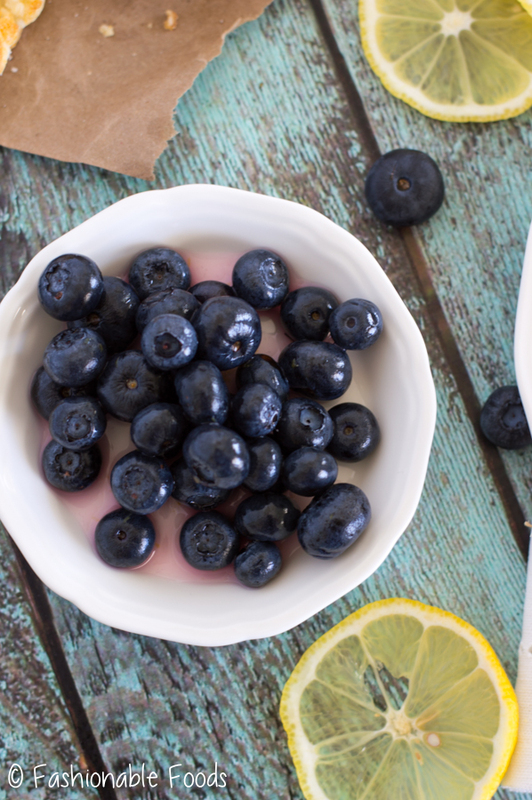 In a medium bowl, combine the blueberries, lemon zest, lemon juice, and sugar. Set aside. In the bowl of a stand mixer fitted with the whisk attachment, combine the mascarpone, powdered sugar, lemon zest, lemon juice, vanilla extract, and pinch of salt. Turn the mixer to medium-high speed and whip until the mixture is light and fluffy, scraping the sides once or twice. Pour the cream into the mixer and turn it to high speed. Whip the cream until soft peaks form; scraping the sides and bottom of the bowl once to make sure the mascarpone mixture fully incorporates. Gently slice the shortcakes in half with a serrated knife – it’s ok if they crumble a bit. Top each bottom with a dollop of whipped cream and spoon berries overtop, allowing them to fall around the sides. Top with more whipped cream and the top of the shortcake. Serve and enjoy! *If you don't use Cup4Cup, check your gf all-purpose flour blend to see if xanthan gum is included. If not, add 1 teaspoon to the recipe. *If you don't need this gluten-free, you use 240 grams (2 cups) regular all purpose flour. Happy July, Keri! I can’t believe how fast the summer is going. And I’ve been obsessed with summer produce, too! I’ve been hoarding blueberries from my local farmer’s market, so this looks perfect for that! I also LOVE mascarpone whipped cream so this sounds perfect! So pretty! Yeah, time is flying. Happy July, Keri. 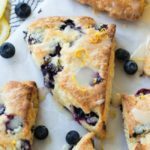 Lemon and blueberry is indeed a classic summer combination for any dessert, and this combination is my favorite too. 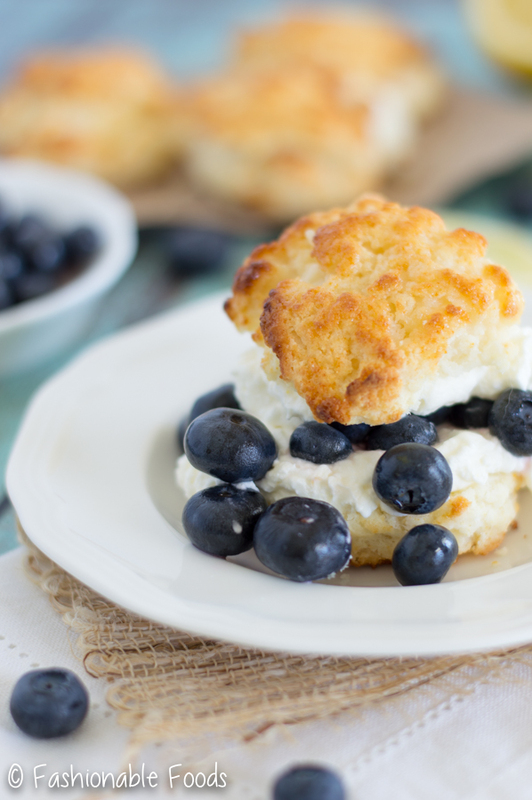 I so want these blueberry lemon shortcakes in my life. Love they are super simple and delicious.